introducing refurbished variants of two of its 125 cc motorcycles - Glamour and Glamour Fi (fuel injection) and entry level bike CD Deluxe. While, the new variants of Glamour will be available between Rs 45,800 and Rs 47,700 (ex-showroom Delhi), the Glamour Fi variants will be priced between Rs 51,450 and Rs 55,450 (ex-showroom Delhi). “This has been a difficult year for the two-wheeler industry but we have been able to beat the industry trend and keep sales momentum going. The three new bikes are an extension of what we have been doing to keep the market interest alive,” Hero Honda Motors Sr Vice-President Anil Dua said. 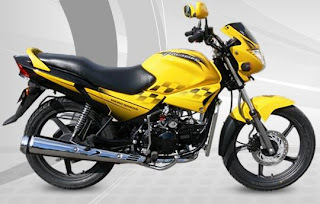 “The 100 cc bike CD Deluxe will also be seeing a new version as we have introduced self start option,” he said adding the bike will be available in four trim levels priced between Rs 33,700 and Rs 36,900. The new introductions are a part of the company’s plans to introduce 12 models in a span of 18 months, of which eight have already been launched.